' As the track played through the VEGA G2, three things caught my ear: the brilliant purity and richness of the tonal colours of each of the instruments in play, the dead-accurate rendering of the dynamic envelopes of the instruments (and especially of their distinctive attack and decay characteristics), and—once again—the striking three-dimensionality of the overall presentation. Pack up your trade and send it to Tweek Geek. Lightning Link is a low-jitter, bi-directional 18Gbps coupling that takes advantage of highspeed HDMI-type hardware connectors to provide a superior level of transmission control, making today’s ultra-high resolution digital music shine like never before. Different from the I2S standard, the bi-directional Lightning Link opens the door to jitter-free operation of all the devices in your system. Clocking information from destination devices such as the VEGA G2 can drive the ARIES G2 timing for example, providing perfect data synchronization. Lightning Link also carries system control data for everything from volume control to processor engine setup, allowing all linked AURALiC devices to appear in a single, unified control interface. 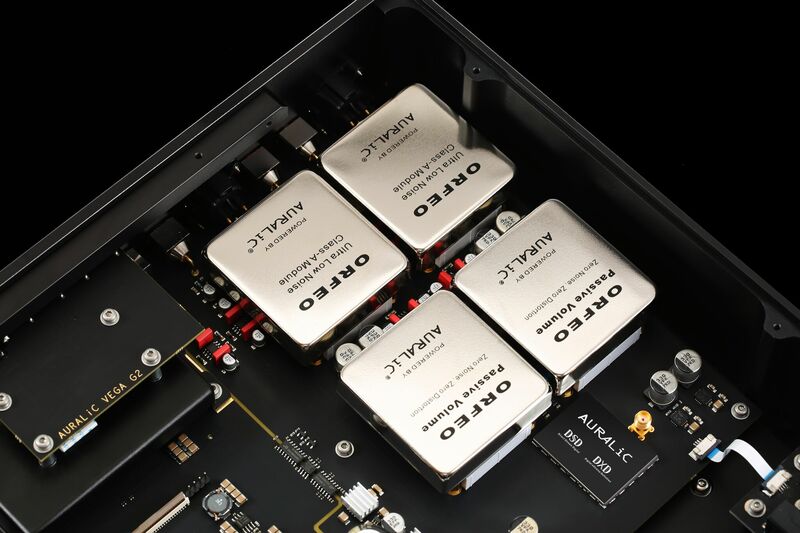 AURALiC has contracted with AudioQuest to offer AudioQuest's Diamond HDMI cableas an option. This 1 meter high performance HDMI cable is a great match with the Auralic Aries and Vega G2. We’ve built the VEGA G2 with two incredibly precise clocks for amazing accuracy. One clock handles sampling of formats in multiples of 44.1kHz, and the second takes care of 48kHz (and multiples) files. They’re the most sophisticated clocks we’ve ever built, and function on 72 femtosecond cycles – 72 quadrillionths of a second. The result is less jitter and immaculate sound. 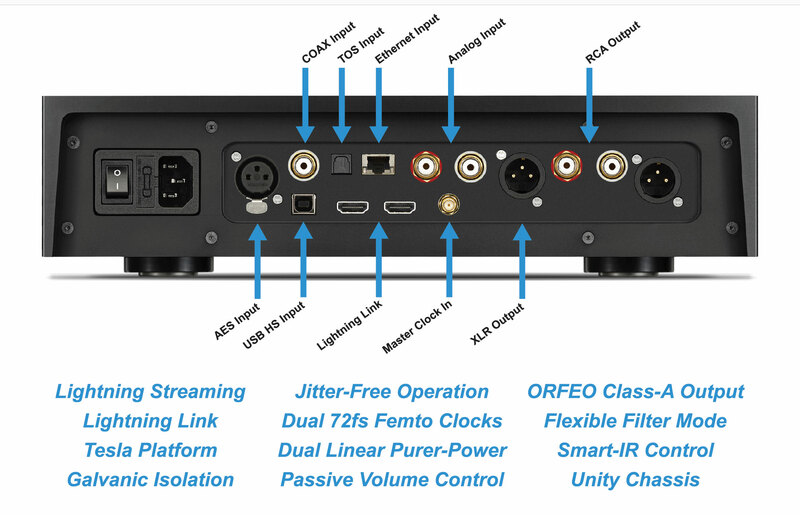 The 72fs Femto Master Clock is just as quiet as it is accurate, with an extremely low -169dBc/ Hz of phase noise and a 100Hz offset noise level of only -118dBc/Hz, thanks in part to its low noise 3uV dedicated power supply. 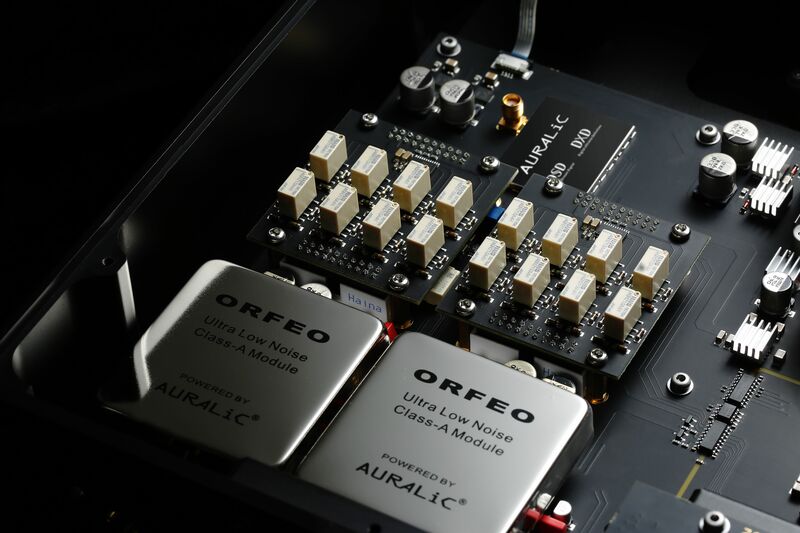 The union of AURALiC’s Lightning OS, the Tesla Platform and our 72fs Femto Master Clock leads to a new trick hiding up the VEGA G2’s sleeve: it’s a DAC that’s always in charge. 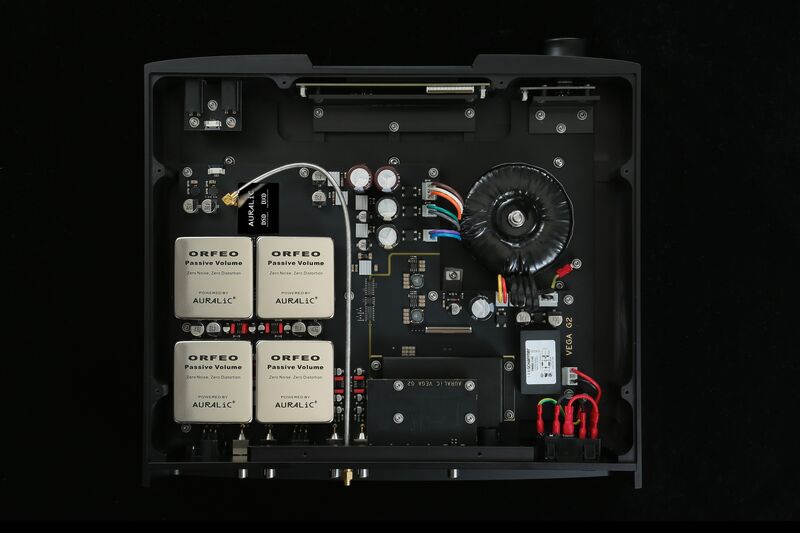 While DACs until now have relied on DPLL circuitry to lock on to the input signal’s frequency, the VEGA G2 has no such limitation – a first in the audio industry. Lightning OS takes full advantage of the Tesla Platform’s considerable resources by buffering enough data to make the input signal’s frequency irrelevant, allowing the VEGA G2 to govern all processing with that super-accurate 72fs Femto Master Clock. It’s a configurable setting too, from 0.1s to 1s, so a smaller buffer size may be set for higher quality sources. 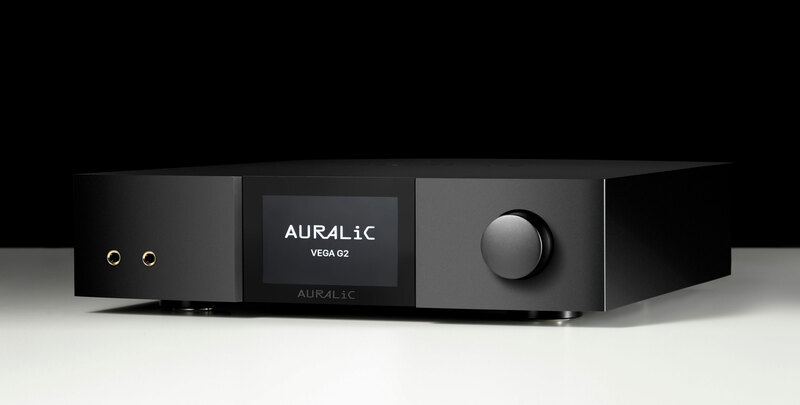 Click the button below to add the Auralic Vega G2 to your wish list.